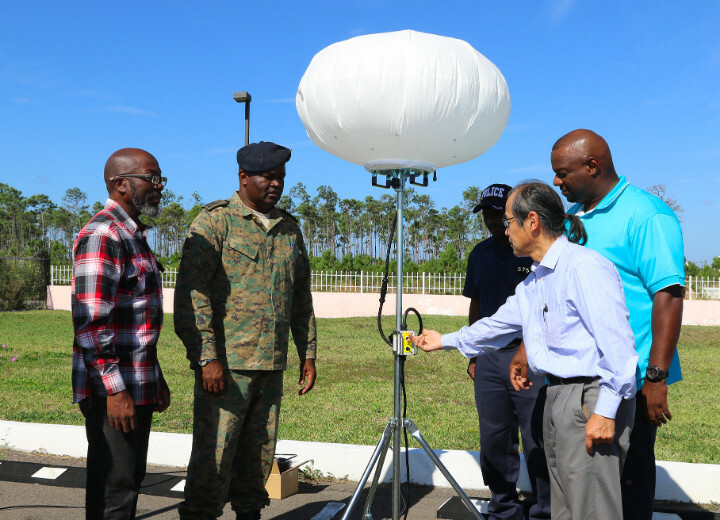 NASSAU, The Bahamas - The National Emergency Management Agency (NEMA) is pleased to receive the remainder of equipment which is part of the $1.8 million Japanese Grant Aid project to The Bahamas in support of the country’s disaster management programme. The equipment includes four balloon lights, eight water pumps, 40 VHF base radio stations, and 200 hand-held radios. 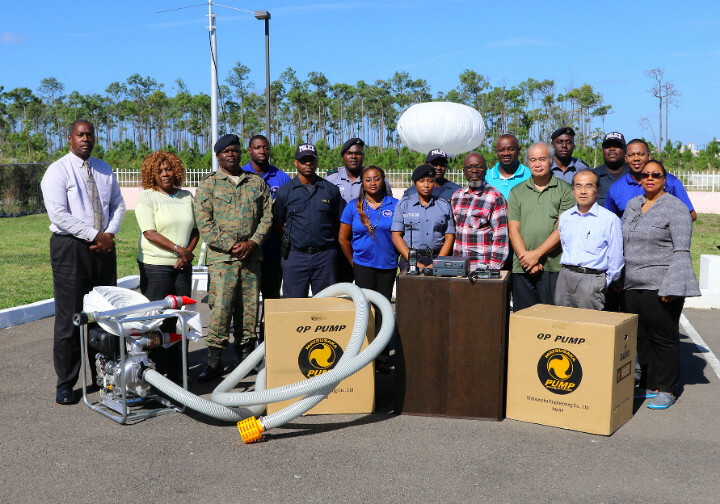 Some 25 staff from NEMA, personnel of the Royal Bahamas Defence Force, the Royal Bahamas Police Force and the Ministry of Works underwent training, December 17-20, in basic operation and maintenance of the equipment. Expert trainers were Derrick Holder and Ronald Alleyne from Barbados, and Takuro Nagai, Manager of the Technical Department and Hiroshi Ohbo, Manager/ Service and Maintenance Section of COMFORCE Japan. In October 2018, the Government of The Bahamas through NEMA during an Official Handover Ceremony accepted from the Government of Japan a wheel crane, a tractor head truck, along with two 40-foot trailers, two freezer containers and two flatbed cargo trucks. Over the next six months, NEMA, in collaboration with its public and private partners will aim to install a base radio and a number of hand-held radios in each of the Family Island-designated Emergency Operations Centers (EOC), to support the local Disaster Consultative Committees with their emergency communications. The water pumps and balloon lights will be strategically placed among the three Emergency Relief Warehouses in Grand Bahama for the Northern Bahamas, New Providence for the Central Bahamas, and Great Inagua for the Southern Bahamas to be readily available for use in those areas, as necessary. “Again the National Emergency Management Agency is pleased to see this programme successfully executed,” said Director of NEMA Captain Stephen Russell. The programme commenced in April 2016 with the signing of a Grant Agreement, the formation of a local committee for the product selection and specifications, the tendering process and production of goods in Japan, and the eventual shipping to The Bahamas. This also included the support of two local companies --Five Stars Brokers and Four K’s Cargo -- in clearing the shipment and delivering them to NEMA on Gladstone Road. “The equipment and training should tremendously enhance the country’s disaster preparedness and response mechanism, particularly in the areas of inter-island communication, logistics and transportation,” said Captain Russell.